GBPUSD is under the influence of oil prices, US labor market data, retail sales and consumer sentiment. 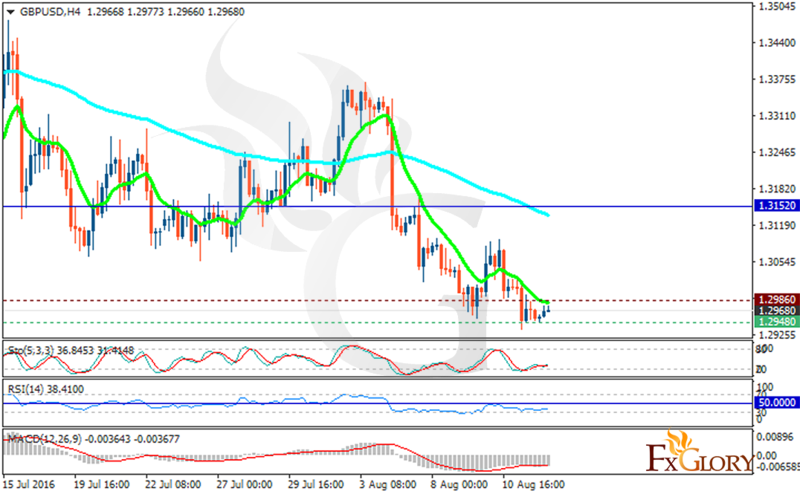 The support rests at 1.29480 with resistance at 1.29680 with both lines are below the weekly pivot point at 1.31520. The EMA of 10 is falling down sharply and it is located below the EMA of 100. The RSI is moving in oversold area, the MACD indicator is in negative territory showing the price decline and the Stochastic is moving horizontally in negative area. The price decline will continue until it reaches the 1.27 area.